Anyway, here are some of the swap cards from our meeting. I'm missing at least one card. Dee was one short and she's going to make one up and get it to me but I forgot to get a picture of it for this post. First card is Diane Kipp's. She used the Delicate Doilies stamp set and the Specialty Designer Series Paper Flirtatious for her card. The large lacy piece is cut from one of the sheets of this DSP. (This DSP is not available for the buy 3, get 1 free promotion.) Pretty, isn't it? 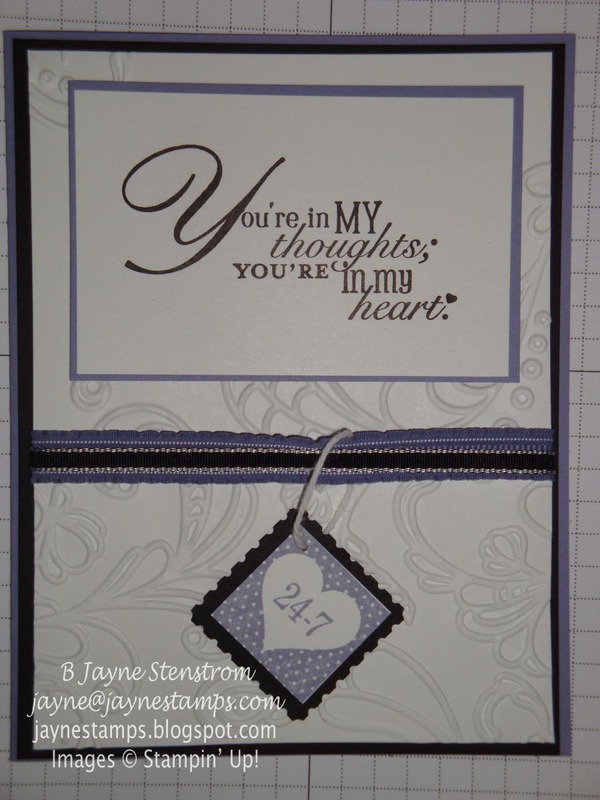 Here is Sara Bolz's card. 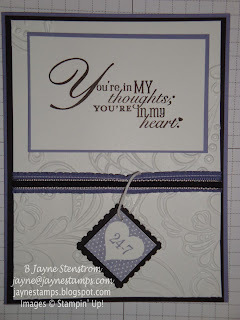 She used Pretty Postage and Word Play along with the Elegant Lines embossing folder, Postage Stamp punch, and Wisteria Wonder with Basic Black and Whisper White cardstock. This is my card. 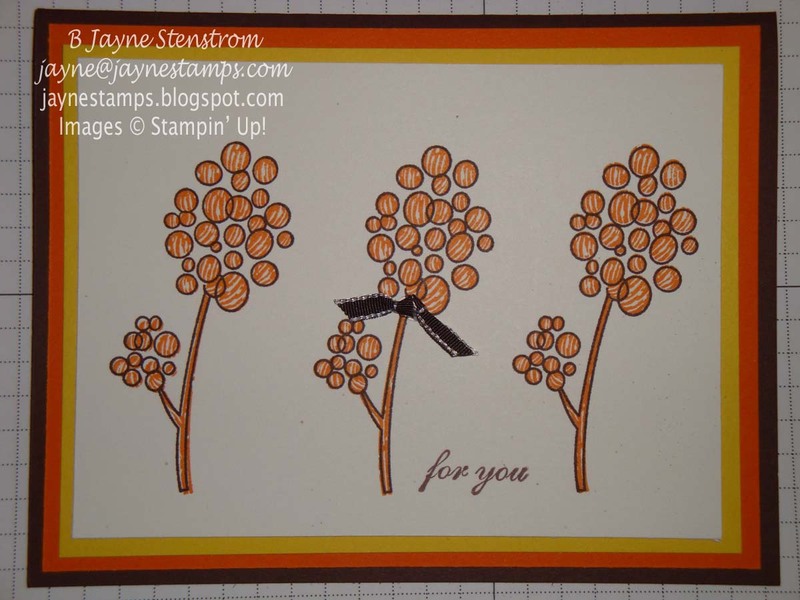 I got the idea from a card I saw on Stampin' Connection. 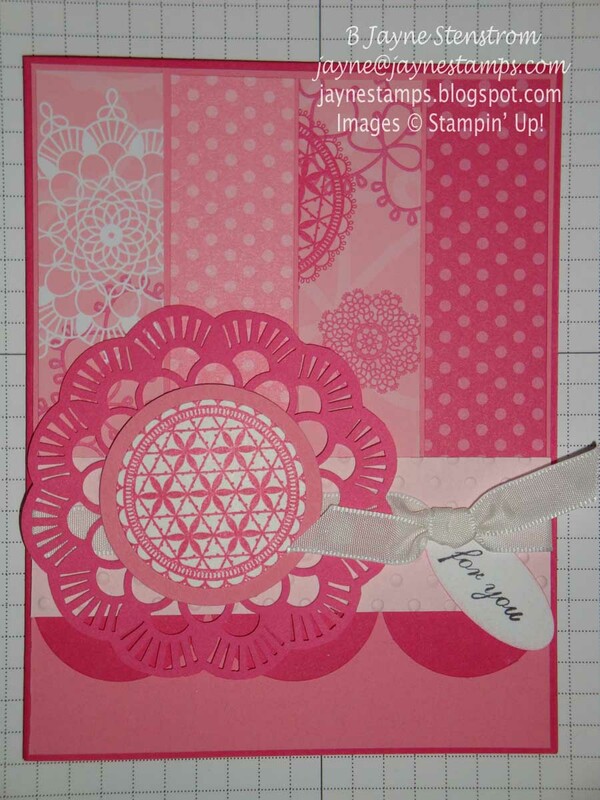 It's made with the Easy Events and Thank You Kindly stamps. 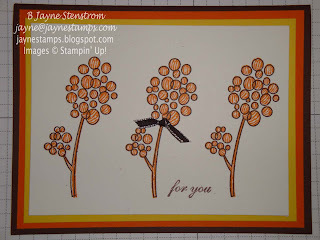 Stampin' Connection is for SU! demonstrators only and it's FULL of loads of ideas for cards, 3-D items, business tips, just a bit of everything. 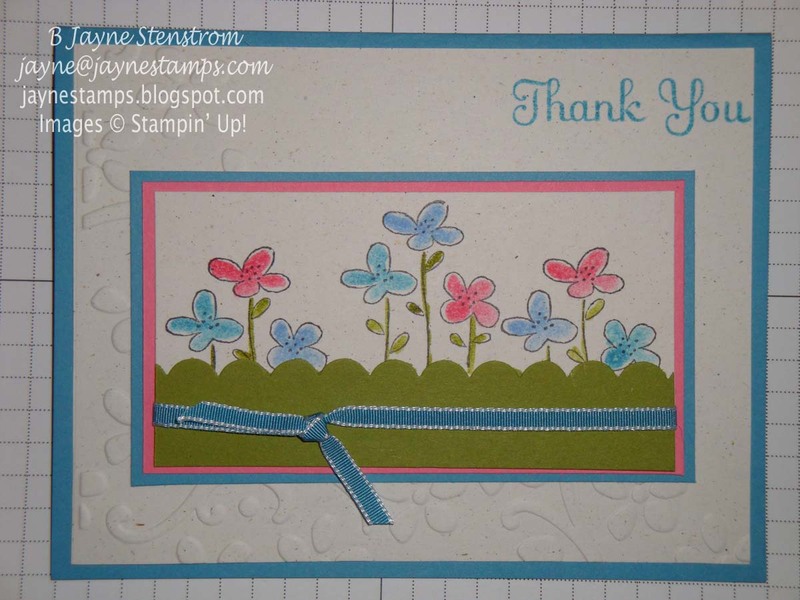 That's one of those extra perks I enjoy being a part of the Stampin' Up! family. Judy Haney used the Raining Flowers stamp set for her card. This was one of the stamp sets we got free at Convention. I haven't had a lot of time to play with it yet, but I really like the ideas I've seen with it.